Now that everyone is a little over halfway through the clean eating challenge hopefully cutting processed and refined foods out of your diet is really just an after thought now. Hopefully your meal prep days and the working out of your meal plan for the week is something that had become more exciting than daunting and maybe, I am just being hopeful here, limiting your alcohol intake has become an after thought and your will power muscle has been seriously bulked up. 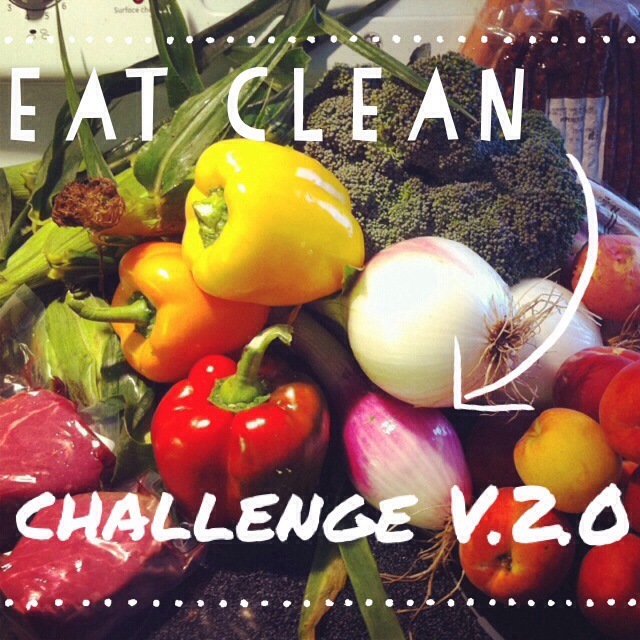 During the second round of this challenge I was hoping that people who participated in the first round would have the opportunity to solidify their habits and those of you participating for the first time would have a chance to see just how simple incorporating clean eating into your life style actually is. I don’t expect this challenge to be without struggle (because it is often a struggle for myself) but the goal is for it to be empowering. I hope that by now if you were asked to sit down and write down all the positive things about this challenge as well as the things you have learn those lists would be longer than the things you truly dislike and the struggles you have faced. The hope is that you have been introduced to something that can be incorporated into your life style and will last longer than just a 50 day blip. 1. What do you enjoy about this challenge and what do you dislike? 2. What parts of this challenge do you want to incorporated into your regular lifestyle? 3. What have you learnt that you find useful? 4. Is there a rule you can’t wait to be without and why? 5. What has most surprised you about yourself while on this challenge? These are some things that I like to ask myself when I am testing something out, it gets me to think about why I am doing it and to really focus on if it is something I want to incorporate into my everyday life. I would love to hear what you all have to say about the challenge so if you feel like it share some of your answers in the questions below. This entry was posted in Health and Fitness and tagged Challenge, eat clean, fall, October, V.2.0 by healingginger. Bookmark the permalink.